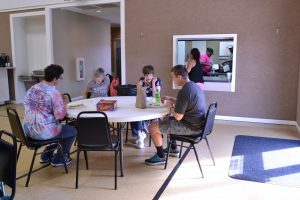 ACT has been developing and expanding the Day Program services into northern Boone County over the last several months. This is the first time ACT will have an offsite location. 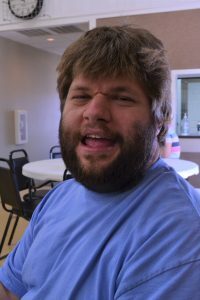 We sat down with Adam Hays, Program Supervisor for Day Program, to talk about the developments in Centralia. What’s the vision for Centralia? We want to eventually provide the same array of services that we provide here in Columbia. Not only Day Program, but Community Living, Career Services, and In-Home Services—the same services to be available in northern Boone County, closer to where individuals live. How has Centralia reacted to the expansion of services into their community? Has there been any interest or partnerships? We’re leasing a building from Centralia Parks and Recreation which comes with the ability to schedule our own private pool times and access to all their parks and facilities in Centralia. Our partnership with Centralia Parks and Recreation is strong. Recently, they invested to upgrade all their parks and facilities to ADA compliance so they’re extremely excited to have us coming in and providing services. They’re thrilled with our potential to bring in people from Sturgeon and surrounding areas to use their parks and facilities. It started with our SWEP partnership with Prengers Foods as a positive example to the community that people with disabilities have potential in their community. We continue to foster that relationship and hope for continued collaboration. What kind of activities will be planned for Centralia? Lakeisha English will be the Activities Assistant and she’s extremely creative. We want to continue to focus on choice and make sure that the individuals are able to participate in the activities that they choose for themselves. 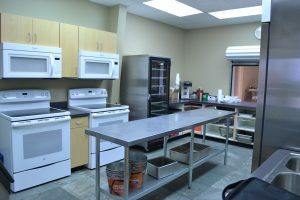 Within our facility, we have an industrial kitchen, a basketball court, and plenty of space to set up activities like volleyball, exercise classes, and more. However, our focus is always on participation in the community, so those will be our first priority. How will you and Lakeisha develop those community activities? I’ve been working with Lakeisha who will be making phone calls and contacting businesses in the community. We’re compiling a huge list of alternative activities. Then, the individuals can pick in advance, and based on what the most popular activities are, we can then input that into the schedule. That will be their first choice. The day they show up, they’ll have a second choice. Let’s say they didn’t sleep well the night before or they have a headache, but they had already chosen to play kickball. Now, they’ll have a backup option that might be more relaxed or better suited for their current mood. How many individuals and staff will be in Centralia? We have 10 individuals who were going to Columbia, but since our Centralia location is closer to their homes, they’ve chosen to go to Centralia. For staff, we have two Direct Support Professionals, one CNA, an Activities Assistant and myself. We just hired two more DSP staff who live in Centralia. This allows the DSPs from Columbia to transition back to the location in Columbia, per their preference. We’re still looking to hire another CNA and potentially one more DSP. Thank you, Adam. We’re looking forward to seeing what’s next for Centralia!